We provide specialist medico legal assessments and approved psychological treatments from our centres in Sevenoaks and London Bridge, as well as from our consulting rooms across London, Kent Surrey and Sussex. 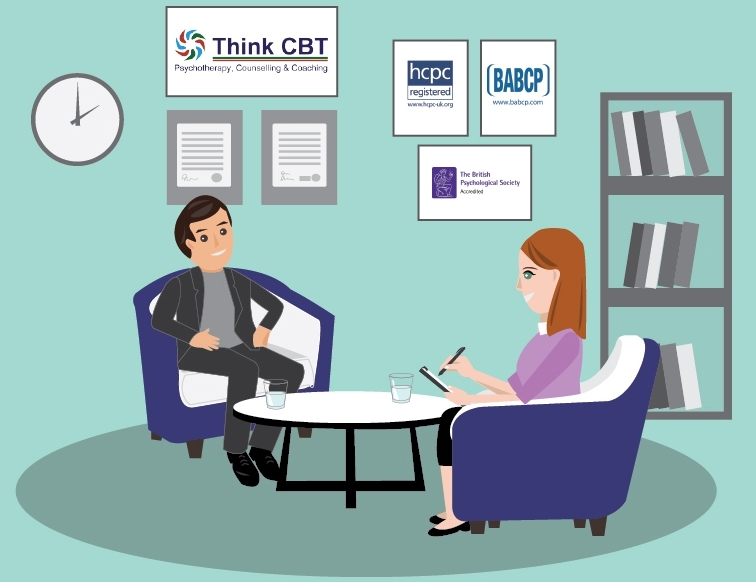 If you want to talk to us about organising fast, cost effective and accredited psychological therapies for medico legal cases, call 01732 808626 or email info@thinkcbt.com. Our clinically accredited treatments include Cognitive Behavioural Therapy, (CBT), Eye Movement Desensitisation and Reprocessing (EMDR) and other evidence based clinical interventions, professionally recognised in the treatment of personal injuries, medical problems and trauma. Our experts are Accredited by the BABCP, HCPC and BPS. We directly support people going through family law cases, personal injury claims, employment rehabilitation processes and medical negligence cases. Our team of experts work directly with the client and their legal representatives, which means that we significantly cut down on the time, cost and administration involved when working via one of the larger medico legal case management agents. We understand that going through legal proceedings can be a highly stressful process in itself. In our professional experience, this is made even harder if the assessment and treatment is managed via the middle step of a case management agent. In practice, this often involves working via a central administration team, where time and costs escalate and where the personal involvement of the client is lost in layers of unnecessary bureaucracy. We also know from personal practice, that the client is sub-contracted out from the case management company to a clinician who receives a fraction of the fee paid to secure the necessary treatment. This means that legal costs are unnecessarily inflated, and settlements and insurance payments are affected. This protracted administration process can feel indiscrete, intimidating and dehumanising for the client. Sensitive personal information is frequently handled by several layers of bureaucracy in the chain and this over complicates the process and contributes to error and delay. We understand how frustrating the above problems can be for clients and their legal representatives and we therefore only work on a direct basis with trusted legal services to provide personalised client support. We value close business relationships and we work closely with our clients and their legal representatives. In return we only provide clinical services from within our own team and we do not sub-contract or pass work out to other providers. This means that you receive the service you pay for without hefty commission or administration charges. It also means that the clinician receives a fair rate for their work, which we believe is a key factor in securing a dedicated and consistent service. Professionally presented medico legal reports produced by accredited psychological experts. Tailored treatment programmes that follow the current clinical evidence base. An initial assessment report, relevant psychometric assessment data and a discharge report. Direct email and telephone contact with the treating clinician. Fast referral to treatment turn-around times. Treatment charges that reflect the true costs of clinical support without the exorbitant administrative charges made by clinical case management companies. Most importantly, legal representatives and clients always receive a direct and personalised service where they can discuss the necessary treatment and support required to resolve the case in a sensitive, fast and straight forward manner. We welcome discussion with solicitors who are interested in standing out from the crowd and providing a premium service at a reasonable cost for their clients. We offer both medico-legal assessments and specialist psychological treatment work for a wide range of psychological problems including trauma and PTSD, stress, situational phobias arising from accidents, sleep problems, psychological pain management, anxiety, confidence problems and depression. Whilst we do not provide physio, neuro-physio or general medical practice services, we work in close reciprocal partnership with colleagues in these areas and often organise medical therapies to complement our psychological work. 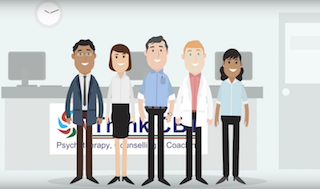 If you want to talk to us about our direct medico-legal services, you can call 01732 808626 or email info@thinkcbt.com. We can also provide information about some of the legal firms where we have already established direct and trusted working relationships on enquiry.